Dumfries & Galloway! What's Going On? "What a wonderful guest house, the rooms were spotless, the breakfast was excellent, & we couldn't believe what we got for the price, I would recommend it to anyone, it is very close to the town centre, just a 5 minute walk to the shops & not much further to eat & drink." Craignair is a traditional Victorian sandstone villa in the historic market town of Dumfries, South West Scotland. 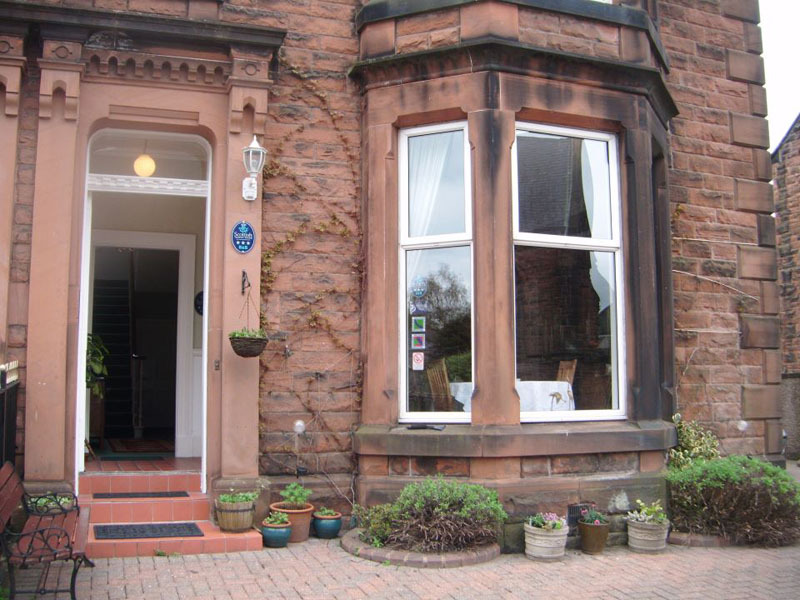 Craignair bed & breakfast is centrally situated and only a short walk from Dumfries town centre and the train station. All our bedrooms are tastefully decorated, comfortable and have en-suite facilities. Dumfries has a variety of quality restaurants featuring locally sourced produce; there are pubs where you can sample local beers and a stunning array of whisky. Tea rooms with coffee and cake are around every corner! We can provide undercover parking for bikes and the Mabie Forest cycle routes are only a short distace away.